You must make reservations at least 5 minutes in advance of the time at Tupelo Honey - Virginia Beach. (GF) ask your server for details about today's selection of east coast oysters, served raw OR cooked with our aleppo pepper cocktail sauce. fresh beer-battered fish, corn jalapeno hush puppies, fries, corn slaw and lemon cherry pepper dipping sauce. April is National Child Abuse Awareness Month. Order one of our special Absolut Vodka cocktails during the month of April and $1 will be donated to Stop Abuse, Inc.
Join us for happy hour and enjoy $2 domestic beers, $4 snacks, $6 select glasses of wine, and more! Available every day from 4-7PM. 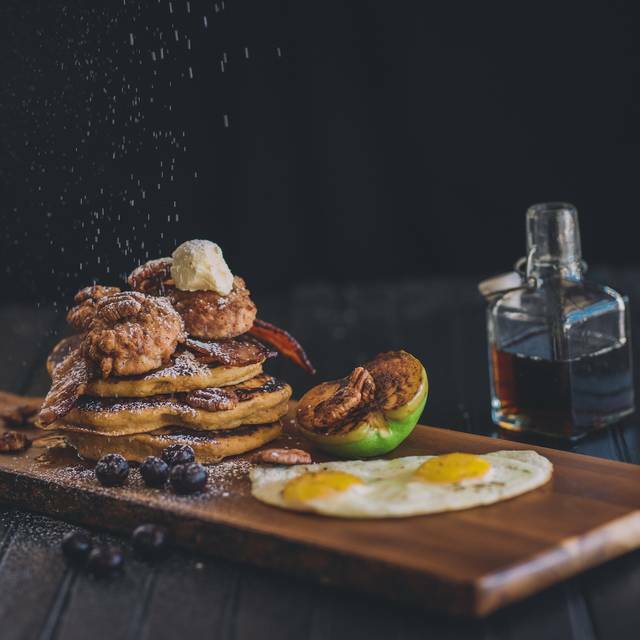 Join us for weekend brunch and enjoy build-your-own breakfast combos! Choose 3 items for $10 or 4 for $12. Dine-in only. worst food over cooked eggs benedict took reservation at 1:15 did not get food until 2:40, after we told server we had an appt at 3pm, so we were late for that appt. didn't have time to send food back!!! terrible, second time there will NOT be back or recommend to ANYONE!!! Wonderful breakfast with a myriad of choices and everything delivered and tasted just perfect. We are in town for a week and already talking about going back. We are happy to hear you enjoyed your experience with us while visiting Virginia Beach. Hopefully we will see you again soon for Lunch, Brunch, Happy Hour, or Dinner! We were a party of 6 for breakfast on a Saturday morning. We were the first group in the restautant that morning. It took over an hour for our food to arrive, which was not acceptable. Our server apologized that the kitchen was short handed and the manager was actually helping with the cooking. The food was just ok, however our server did make sure we had full cups of coffee during our long wait for food. It would have been nice if we had gotten butter for the biscuits that arrived while we waited, but our waiter was trying to accomodate a dining room that was quickly filling up and it was hard to find him for the request. This restaurant is in a prime location in the downtown area, and advertises that it is open for breakfast, but it seemed as though they were totally unprepared for their guests, and, while the food is good, it is not great, not worth an hours's wait, and I imagine that we will go elsewhere for breakfast in the future. Thank you for taking the time to leave your feedback. 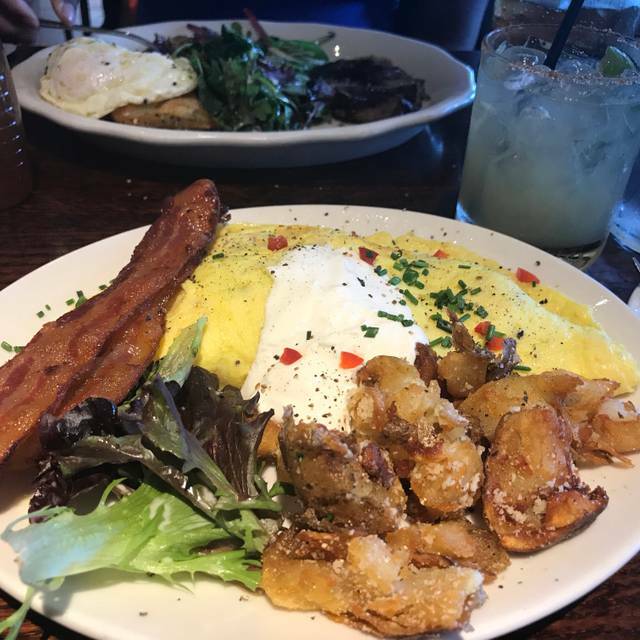 We are sorry to hear you had anything less than an amazing experience at Tupelo Honey and would appreciate the opportunity to discuss it further. Please send us a direct message with your preferred contact information so our manager can reach out to you directly. Terrible service and way too expensive for what you get. Won’t be going back. We went during Happy Hour to take advantage of the appetizers. The prices were unbelievably reasonable! We thought they would be smaller in size due to the prices being so cheap. We were quite shocked when they brought them to the table as they were surprisingly full size! They were absolutely amazing! You must try the fried pickles! Yeah, don’t knock them til you try them! All of the happy hour appetizers were so yummy! 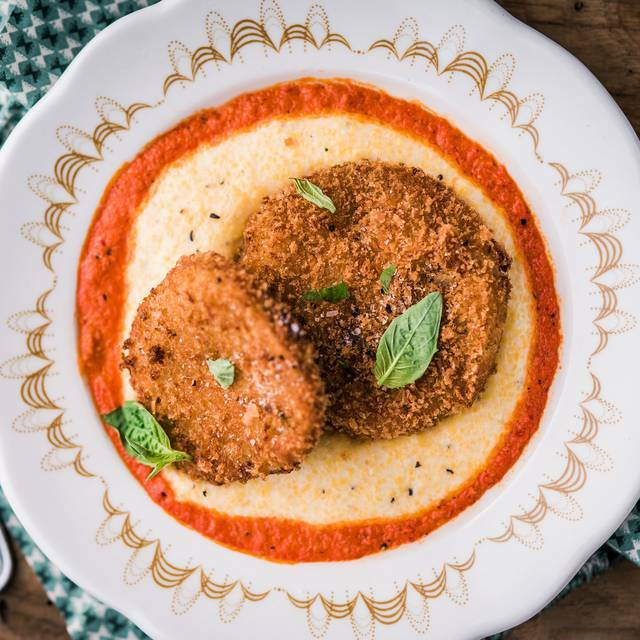 Also, even though they are not on the happy hour menu - you must try the fried green tomatoes over the bed of goat cheese grits! The best ever! Oh! And you MUST try their super yummy Banana Pudding! Oh so good!!!!! You won’t be sorry here!!! I am looking forward to going back soon! We are happy to hear you enjoyed your happy hour experience with us. Thank you for taking the time to share your experience. We cannot not wait to have you back soon for happy hour! My first time here was Saturday night with my boyfriend. We made an online reservation and we were seated quickly even though we were a bit early. The food was AMAZING. We had the $1 oysters since it was still happy hour and they were delicious! Our server was Jeff and he was so chill & knew a lot about the menu to make suggestions to us. Our food did take a minute to come, but when it did, we enjoyed every bit of it. Will definitely be returning for a second visit & will also be requesting Jeff as our server! Imani, thank you for taking the time to share your experience with us. We are happy to hear you enjoyed the food and Jeff's service. We cannot wait to have you back again! Autumn our server was exceptional. She knew what we needed before we did! Excellent food + great service= fantastic experience. We are happy to hear you enjoyed your food and Autumn's service. We cannot wait to have you back soon! This was our second visit and it was even better than our first. This time we were joined by our great friends. They wanted to join us after we raved about our first time there. It was fate. The same booth and the same delightful server, Grace. We all ate like we were going to the gas chamber. Fried pickles, Mac n’ cheese balls, happy hour drinks and $5.00 burgers! ! It was terrific! If you haven’t tried it you are really missing out! Thank you for taking the time to provide us with a review of your experience. I am pleased to hear that Grace made your experience pleasant and we look forward to seeing you again soon! I had the best veggie burger of my life! I cannot wait to go back. The service was amazing. Our waitress was amazing. I wish I could remember her name! I will recommend this restaurant to everyone I know! Will be back soon! We are happy to hear you enjoyed the food and service when you dined with us. We cannot wait to have you back soon! I enjoyed my visit at Tupelo Honey. We were having a bridal shower dinner for my sister. The online reservation system wouldn't let me book for 20 people, so booked two parties of 10 not knowing that this would put us in seperate places in the restaurant. Well Tupelo went above and beyond to put my entire group together. Our server Lehman was outstanding with this crazy group of women and just made this event awesome. Lehman made sure everyone was taken care of. There was another young lady helping our second table. I don't know her name but she was great too. I had the blackened catfish, mac n cheese, and collards which was absolutely delicious. I never finish a whole meal whenever I go out, but this time I ate everything on my plate. It was just so good. The portions were good also, not too little or too much. This was my first time at Tupelo, but definitely not my last. Thanks. Thank you for taking the time to provide us with a review of your experience. I am pleased to hear that Leamon made your experience pleasant and we look forward to seeing you again soon! I will give them another try though - looks like a lively and fun place. First time here for breakfast brunch and we will most definitely be back. Great southern style food. Our server Andrea was attentive, but not overbearing. Pricing is modest. 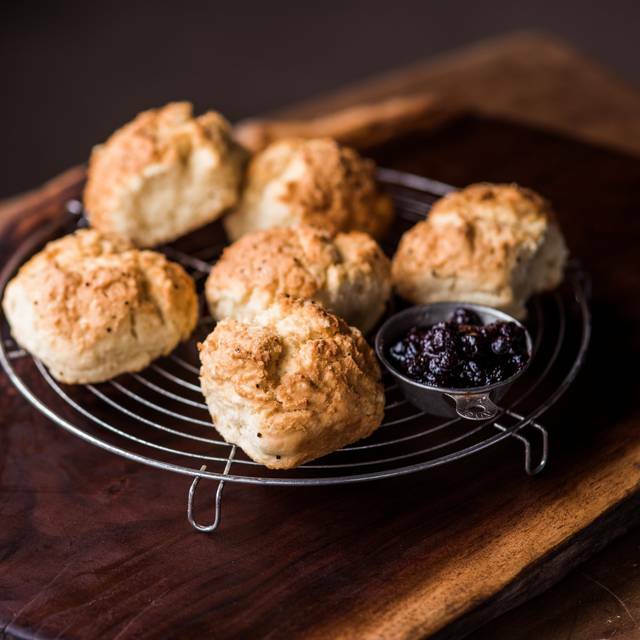 The homemade bisquits are excellent and served with house made blueberry preserves and Toupelo honey🍯. We are happy to hear you enjoyed the food and service. We cannot wait to have you back again! Food was cold when served. Even after the food was reserved it still didn’t taste that great. I’m not sure if fresh ingredients or meat were used. Great atmosphere and customer service. Thank you for taking the time to share your experience with us. We are happy to hear you enjoyed the ambiance and service. We cannot wait to have you back! We’ve eaten here a few times, the food is always good, the service is great and very quick! One of our favorite go-to places to eat! Scrumptious start with mule to fabulous finish chocolate cake! We are happy to hear you enjoyed the food and drinks when you dined with us. We cannot wait to have you back again! Server was very uninterested. He seemed distracted. The place was not busy so maybe he was just having an off day. Food was ok. This was the first time at this restaurant. Service was outstanding. For some reason they were out of not one but two of the appetizers. Management came by to apologize and offered a desert for no charge. In addition they gave us a $15.00 credit off our bill for the trouble. I’m going to give them another chance in the future. We are sorry that you are disappointed but appreciate your feedback. We are committed to providing you with a great experience and hope you give us another chance in the future. Second visit to TH. The food was very good and the service was very attentive. We will be back. Thank you for choosing to dine with us. We are happy to her you enjoyed the food and service and cannot wait to have you back! It was a wonderful experience. They had a great atmosphere and our waiter was excellent. This place never disappoints. I haven't had anything I don't like. The biscuits are incredible. Highly recommend the pimiento cheese nachos, cauliflower bites and crispy brussels. For entrees - fish, fried chicken, and sweet tea chicken have all been hits. For dessert, the honey buttermilk cheesecake was fantastic! This is definitely one of my favorite places. Thank you for taking the time to share your experience with us. We are happy to hear that we are one of your favorite places and hope to see you soon. 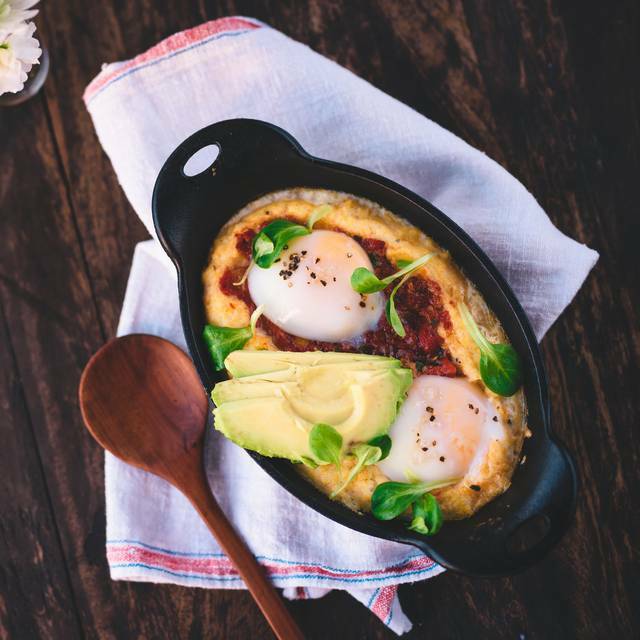 Make sure to keep and eye out for our new spring menu coming soon! I love this restaurant! Everything is good each time I go, and the service is always good as well! Keep up the great work! Service was a little slow. We waited awhile for menus, then drinks, then dinner. The servers handed both drinks and food over the smallish table for four rather than place them in front of each diner, losing stars for service. Warm biscuits were brought with honey and jam- a ‘signature’ (and welcome) dish at this restaurant. My shrimp and grits were very nice, with just a touch of heat. But the lemon lavender martini was overpriced at $13! Cobb salad with chicken was good and the fish fry dinner was dry. The rustic atmosphere was pleasant. 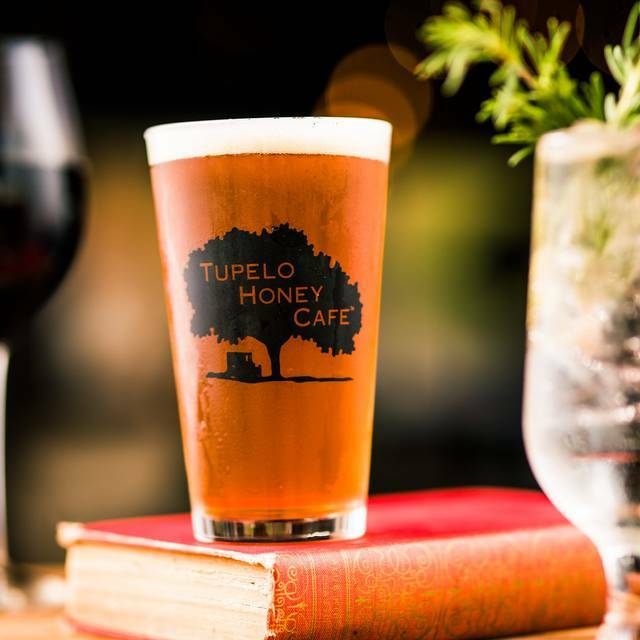 Tupelo Honey was no noisier than other restaurants and we were able to converse easily. Only suggestion is to be able to order the mini jar desserts to go..maybe have a plastic container to put them in to go.. They refused to let us order it to go. We cannot wait to have you back. Thank you for taking the time to share your experience with us! Service was slow and sporadic. Food was cold and not tasty. Manager did not offer any compensation. All seven of us agreed never to return. Fantastic food and excellent service. Food came out quickly and everyone enjoyed their meal greatly! This restaurant is always a mandatory stop when I’m in town! I love the food, I’ve never gotten anything I didn’t love. The atmosphere is perfect, and the service is always awesome as well! I also love it that they take reservations, this comes in handy when you don’t have the extra time to wait for a table. Thank you for taking the time to share your experience with us. We are happy that we are your go-to place in Virginia Beach for great food, service, and ambiance. We hope to see you soon! Excellent brunch for our group. The menu is not the run of the mill selections. Very unique selections always very good food and service! We are happy to hear you enjoyed your experience with us and hope to see you again soon! We are happy to hear you enjoyed your food and service. We cannot wait to have you back. Laid back yet very nice environment. Everybody loved every part of their food and drinks. Southern dishes with extra love put in, such as goat cheese grits and sweet tea roasted chicken. Prices very reasonable for good quality, good for you-feel good food! Thank you for taking the time to share your experience with us. 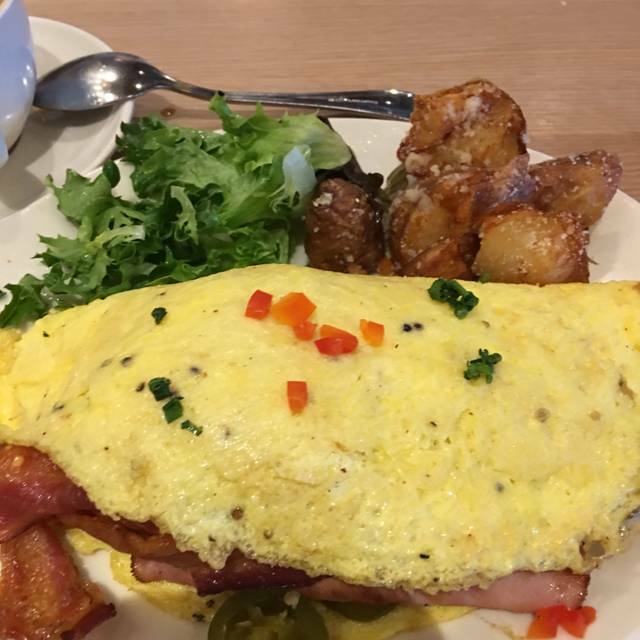 We are happy to hear you enjoyed the food and hope to see you again soon! Our server Drew was excellent and very kind and helpful. We all had an enjoyable experience. I am happy to hear you enjoyed your experience with us and Drew's service. I hope we will see you again soon! Server was good. Hamburger was crispy: trout at Bonefish much better. Biscuits took forever to be served. Not impressed. Loved our waitress and the ambience! This was our first visit. Some things were great like the lavender martini. 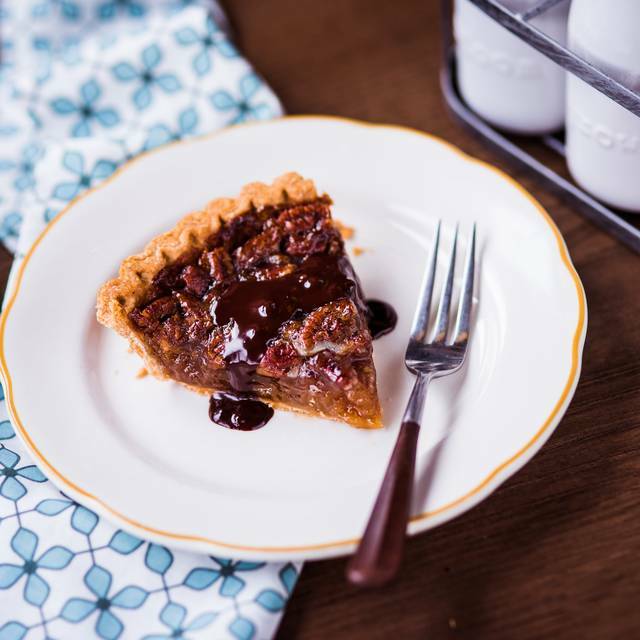 Some things had potential - like the pecan pie which is just overkill with the chocolate on top as it is buttery and rich and would stand great with just the whipped cream. And some things were a disappointment - the fried chicken was dry except in the thicker parts. We did the restaurant week menu and when I order the fish I was told they might be out only to have the waiter return and tell me they were out of fried green tomatoes - which was what drew me to them in the first place. Our service was spotty - attentive at times but then at the end we waited a long time to get them to pick up the check. Not sure I would return for the $. First visit was great, and we will return. 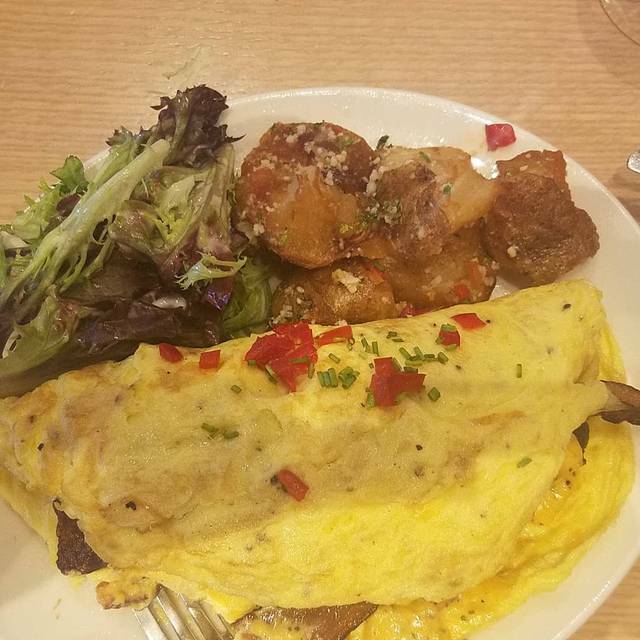 Nice selection of menu choices, and the brunch omelet was delicious! We are happy to hear you enjoyed your experience with us and hope we will see you again soon!